Edward J. Borein b. 1872 California d. 1945 Santa Barbara, CA. Raised in San Leandro, a western cow town, he began sketching at the age of 5 and continued drawing as a working cowboy from age 17-19. Later he became friends with Charlie Russell, Will Rogers and President Teddy Roosevelt. By 1907, leaving his illustration career in San Francisco, he studied etching at the Art Student's League and opened a studio in New York City. Never feeling at home in NY, he moved with his wife to Santa Barbara in 1921, where he also had a studio; and taught art at the Santa Barbara School of Art. Borein is highly regarded because he painted and drew what he saw accurately and not romanticized. No other artist captured the "disappearing West" with the accuracy and vivacity of John Edward Borein (1872-1945). A native of the San Francisco Bay Area, Edward Borein rode south in 1893 at the age of twenty-one, and over the next few years, he worked his way through California and the vast length of Mexico. While on the range, the young cowboy sketched from the saddle in his spare time during the day, and then refined his lines with pen and ink in the evening. By 1900, Borein had returned to Oakland to set up his first art studio, and in 1907, he moved to New York to further his career. It was back East that his popularity mounted, and in New York, Borein sold his etchings and watercolors, and found constant work as a magazine and advertisement illustrator. Due to the realism his art portrayed, and the true Western cowboy spirit it invoked, Edward Borein was quickly branded the "cowpuncher artist" by his friends and artist peers. In 1921, Borein settled in Santa Barbara and opened a studio in the historic El Paseo complex, and it was here that Ed found his true calling. 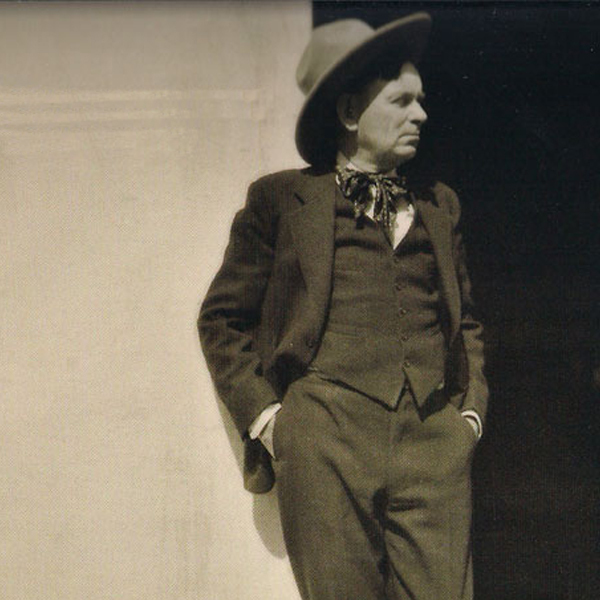 According to biographer Harold Davidson, "By this time Borein was aware of what he was doing, and told his friends many times he was documenting the Old West as he had lived and seen it. Every detail of horse, rider, saddle and gear, longhorn, and Indian had to be right. There are many stories of some detail of an etching being challenged, but the artist remained adamant, and usually was proven correct." Edward Borein also proved quite prolific and produced over three hundred different etchings, a multitude of watercolors and ink drawings, and a handful of oil paintings. Today, this outstanding body of work gives us a glimpse into the authentic American West, from the perspective of a true cowboy and Santa Barbara's beloved "cowpuncher artist."